The Board of Directors of Expert System S.p.A., a market leader in Artificial Intelligence, listed on the AIM Italia market, organised and managed by Borsa Italiana, today approved the Group consolidated financial statements and draft financial statements for the year ended 31 December 2018, which will be submitted for approval to the Ordinary Shareholders’ Meeting on 17 April 2019 (first call) and, if necessary, on 18 April 2019 (second call). Sales revenues* totalled € 28.7 million (€ 25.6 million in 2017), up 12.1% thanks to an increase in sales of subscription licences and the good performance in Italy and abroad, accounting for 56% of revenues, with interesting results in the USA, UK and Spain. In particular, in Spain and in the UK (+95.1% and +63.6%, respectively, compared to 2017) the number of corporate clients increased, while in the USA, revenues for the government component increased (+66.4%) thanks to the maturation of the considerable investments made over recent years which are starting to have clear effects. There was also excellent performance in the domestic market, with a growth of +31.7% compared to the previous financial year. Regarding the revenue component from licences, the percentage of subscription licence sales increased considerably, with a value of 72% of the total licences in 2018 (41% in 2017). The Value of Production is € 35.5 million (€ 32.8 million in 2017), up 8.2%. EBITDA stands at € 4.6 million, with a significant growth of € 3.6 million (+343%) compared to 2017 (€ 1.0 million), and also with a notable improvement in the EBITDA MARGIN, going from 4.1% in 2017 to 16.2% in 2018, thanks not only to an increase in revenues, but also to an improvement in operational efficiency and cost optimisation. The EBIT value is negative by € 3.2 million, a significant improvement of around € 3.3 million compared to the result obtained in 2017 (negative by € 6.5 million), after amortisation, depreciation and provisions of € 7.9 million deriving mainly from € 5.4 million of investments in technological development, and € 2.3 million from the amortisation of consolidation differences arising from acquisitions made in recent years. Expert System Group’s Net Profit/Loss, with a negative value of € 3.8 million, improved considerably compared to the previous year (negative value of € 8.3 million), in part thanks to the improvement in financial management, which registered a result of € 97 thousand (negative value of € 2.2 million as at 31/12/2017), benefiting from intercompany net exchange gains of € 556 thousand (net intercompany exchange losses of € 1.7 million in 2017). The Net Financial Position is € 12.4 million, an improvement on expectations (in fact, a range of € 12.9-13.6 million was forecast – see press release of 23 March 2018), compared to € 8.8 million as at 31/12/2017; this variation is mainly attributable to the € 2.6 million growth in current assets. Equity is € 15.0 million compared to € 19.3 million as at 31 December 2017. Sales revenues* of € 18.9 million (€ 15.0 million in 2017). Value of Production is € 23.1 million (€ 19.3 million in 2017). EBITDA is € 6.8 million (€ 3.3 million in 2017). EBIT is € 2.3 million (€ 0.0 million in 2017). Net Profit/Loss is positive by € 1.6 million (negative by € 1.1 million in 2017). Net financial position is € 13.1 million (€ 8.8 million as at 31 December 2017). Equity is € 38.8 million (€ 37.2 million as at 31 December 2017). The Board of Directors decided to propose to the Shareholders’ Meeting the following allocation of profit (loss) for the year of € 1,584,789.18: € 27,818.70 to the legal reserve, € 218,907.38 to the exchange adjustment reserve and € 1,338,063.10 to the extraordinary reserve. 31 January: GENERALI signs an agreement with Expert System to implement the potential of artificial intelligence into its work processes in Spain. 14 March: Expert System joins a European project promoted and financed by EIT Digital, the community supporting digital transformation processes in EU countries, aimed at preventing cyberbullying by exploiting the potential of artificial intelligence. 14 March: Expert System is confirmed among the top 100 Knowledge Management companies. This prestigious accolade is given by the US magazine KMWorld to the best companies operating in the knowledge management industry. 9 April: Cogito® among the leading artificial intelligence platforms in the world. Forrester adds Expert System to its new report “Now Tech: AI-Based Text Analytics Platforms, Q2 2018”. 15 May: new leadership position in Artificial Intelligence. 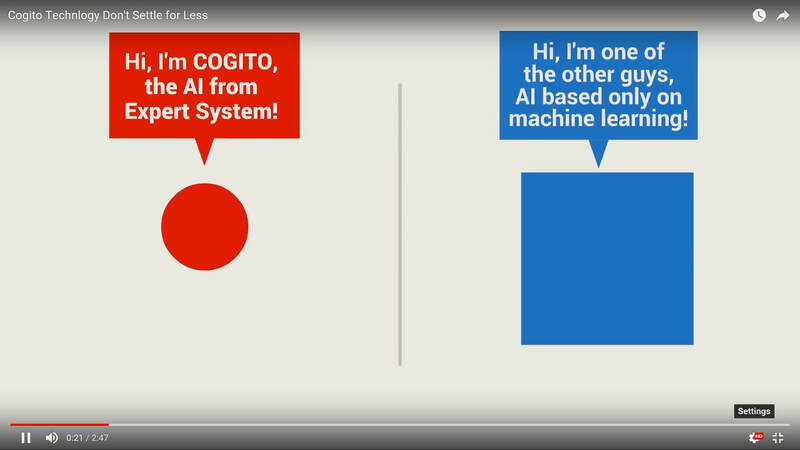 Confirming the technological leadership of Cogito® and a continuous commitment to innovation, Expert System improves its automatic knowledge acquisition functions using machine learning and semantics. 29 May: the development strategy continues with the launch of two products for Insurance companies, and the positioning of the Company in the artificial intelligence market is consolidated through verticalization of the offer in high-potential sectors. 31 May: according to Forrester, Cogito® is one of the leading social listening platforms in the world (monitoring, analysis and creation of strategies for web social listening to provide practical support for supplier assessment based on the functions offered). 4 June: the Board of Directors approves the “2018-2020 Stock Grant Plan” aimed at Expert System employees and its subsidiaries, with the resulting free-of-charge share capital increase of up to € 8,000, for a maximum of 800,000 new ordinary shares, and the “2018-2020 Stock Option Plan” aimed at members of the Board of Directors, employees, collaborators and consultants of Expert System and its subsidiaries, resulting in the proposal to increase the share capital against payment, in divisible form and with exclusion of option rights, up to € 1,260,000, with a maximum of 1,200,000 new ordinary shares. The appointment of a new independent director is also proposed, thus increasing the number of members of the Board of Directors from 7 to 8. The Board of Directors’ proposals were approved by the Shareholders’ Meeting on 11 July. 28 June: the second tranche of the Temis 2016-2020 Stock Grant Plan is allocated. 18 July: Expert System is added to the Gartner Magic Quadrant for Insight Engines. The Company is once again confirmed among the top 13 companies in the world in 2018 for business information analysis and research activities. 9 August: Forrester includes Expert System among those vendors which, thanks to advanced text analytics functionalities, place themselves at the heart of the convergence of Robotic Process Automation and Artificial Intelligence. 5 September: consolidation of the partnership with Blue Prism, global leader in the Robotic Process Automation market. 18 September: Cogito® gains the prestigious accolade of the US magazine KMWorld dedicated to trend-setting products. This is the fourth year running that KMWorld has recognised the excellence and uniqueness of Expert System’s technological approach. 20 September: Crédit Agricole Corporate & Investment Bank integrates Cogito® in its PanOptes analytical tool, aimed at automating the analysis and processing of public information flows as well as the management of unstructured content. 10 October: Expert System and Dow Jones show the crucial role that artificial intelligence plays in the publishing industry, enabling the processing of huge volumes of content and guaranteeing immediate access, to the benefit of customers. 18 October: second edition of the international Expert System event dedicated to artificial intelligence in the business world (Cogito AI Day). Guests in Paris: Forrester Research, Accenture, Belfius Bank, Swiss Re, Zurich, Crédit Agricole CIB and SEB Group. 8 November: Rabobank, the Dutch banking group specialising in financial services signs a partnership with Expert System, which continues its strategy of growth and international development, adding a new goal for Cogito® in the banking sector. 12 December: through the Cogito Lab in Madrid, Expert System partners two European research projects – DANTE and Trivalent – aimed at exploiting the potential of Cogito® in the analysis of texts to identify danger signs linked to terrorism. 10 January: AXA XL Risk Consulting, part of AXA Group – one of the global leaders in the insurance sector, chooses Expert System’s artificial intelligence to strengthen its Property Risk Engineering capabilities, through automation of the reading of property appraisals using natural language processing. 7 February: the Board of Directors approves the framework resolution regarding the renewal of the intercompany financing plan in relation to subsidiaries. 15 March: Expert System among the top 100 Knowledge Management companies. This is the fifth year running that the experts at KMWorld have awarded the Company this prestigious accolade. 19 March: release of the new version of Cogito announced. Once again, the full commitment to customer and partner requirements is confirmed, as well as the continuous attention to innovation. For 2019, the Company confirms the growth trend that has characterised the last two years of business management; the results recorded in 2018 signal a significant time of positive discontinuity in terms of margins, confirming the effectiveness of the medium-long term strategies followed by the Company towards business expansion and the continuous improvement of the Cogito technology platform. The targets for 2019 declared in the previous financial year remain the same, supported by the gradual maturation of the reference market, by the acquisition of new clients of international standing, and by the ever-evolving partnerships with “third parties”. As at 31/12/2018, the Parent Company Expert System S.p.A. held 76,709 treasury shares. The change compared to the 141,139 treasury shares held as at 31/12/2017 is attributable to the assignment of 64,430 treasury shares following the maturity on 28/06/2018 of the second tranche of the Temis 2016-2020 Stock Grant Plan, previously approved by the Shareholders’ Meeting of 28/06/2016. The Board of Directors also approved, in accordance with the related parties procedure, conversion of financial receivables for recapitalisation of the 100%-controlled subsidiary Expert System France S.A. for € 0.3 million. Finally, the plan to appoint a proxy to the administrative body was approved, in accordance with articles 2443 and 2420-ter of the Italian Civil Code, to increase the share capital and issue convertible bonds (also excluding option rights pursuant to article 2441, paragraph 5 of the Italian Civil Code) for an overall amount of € 10 million. The Board of Directors therefore agreed to convene the Ordinary and Extraordinary Shareholders’ Meeting for approval of the above on 17 April 2019 (first call) and on 18 April 2019 (second call) at the Company’s offices in Modena. With regard to this proxy, Expert System intends to give itself operational flexibility in order to be able to raise funds, if necessary, so as to significantly accelerate Group growth across all the main markets it operates in, both directly and indirectly; market maturation is happening much faster than in the past and the potential to make larger investments than currently planned could be a key factor in guaranteeing the Group a higher than expected growth in revenues. The notice of call will be published on 02 April 2019 in the “Italia Oggi” newspaper and the full version will be made available in the “Investor Relations” section of the website www.expertsystem.com. This press release is available on the Company’s website www.expertsystem.com/it and on www.emarketstorage.com.